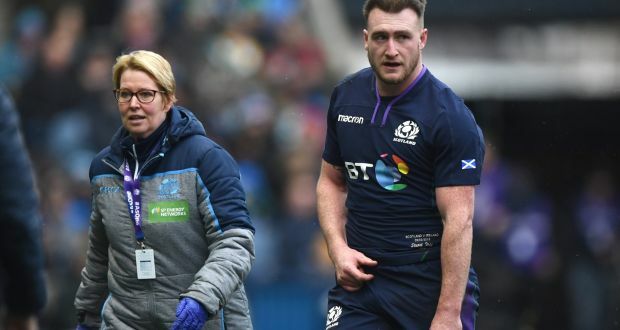 Scotland fullback Stuart Hogg will play no further part in this year’s Guinness Six Nations after it was revealed he suffered some damage to the ligaments in his shoulder during the loss to Ireland at Murrayfield on Saturday. 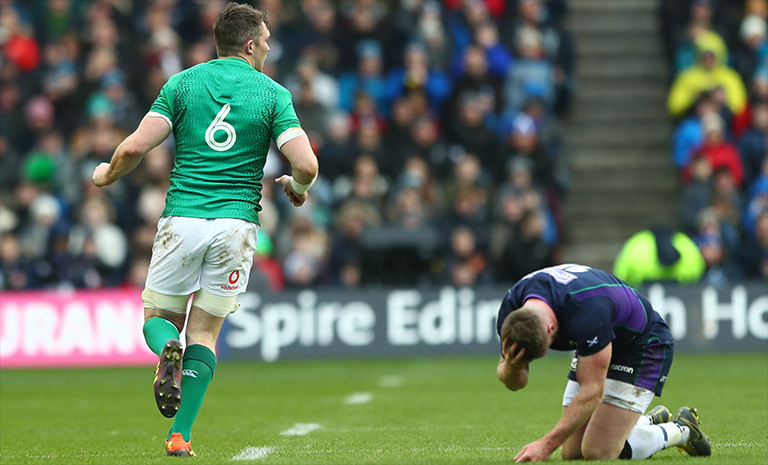 Hogg was forced off after just 15 minutes after he collided with Ireland flanker Peter O’Mahony following a chip ahead into space, causing him to land awkwardly on his shoulder. The British and Irish Lion has been ruled out of the rest of this year’s championship for definite and his absence could be much longer if scans reveal the injury to be a grade three tear which would then require surgery. If that’s the case 26-year-old could then even miss the Rugby World Cup in Japan. Understandably the Scots are absolutely fuming with O’Mahony over the incident, who escaped completely unpunished. After the game Scotland coach Gregor Townsend admitted he was disappointed that the challenge on Hogg wasn’t pulled up. “He’s very sore, he wanted to stay on but his shoulder was not right. It was disappointing. He chipped ahead and he was sandwiched between two players and there was a collision which caused him to land on his shoulder.” Townsend said. Has Peter O'Mahony, good as he is, been cited yet for his 'Hacksaw' Jim Duggan on Stuart Hogg yet? As deliberate as it gets. Hogg being our for the six nations is bad enough. Hogg facing a fight to be fit for the world cup is just downright depressing. And no citing for O'Mahony for the late hit on Hogg that injured him…. Special treatment as usual for Ireland.